MiWadi today announced the launch of a new limited edition addition to their range: Emma’s Wadi. Emma Dorgan from Cork is the winner of MiWadi's latest marketing initiative, the MiWadi MiWay Competition. Emma suggested the creation of a new flavoured MiWadi, Bananaberry Split. Emma's flavour is described as a deliciously fun, tasty and mouth-watering blend of blackcurrants, bananas and ice-cream. The MiWadi MiWay campaign gave kids the opportunity to enter a virtual MiWadi factory to select the fruits and flavours for their ‘Wadi’ and name their new flavour . This campaign reflects MiWadi’s vision of seeing the world through the eyes of a child and bringing more fun and excitement to the squash category. 23,000 children from all over the country mixed, matched and combined ingredients to create their very own MiWadi. The MiWadi team went through each and every entry before choosing the three flavours to make it on to our shortlist. Then, following nearly 300,000 votes cast over 3 days, the winner was selected – Emma Dorgan. When Emma’s not busy inventing flavoured squashes, she loves playing with her dolls with her big sister Kate, and is now set to be very popular with her new found ‘fame’. “I can’t wait to start school so I can show all my friends my Wadi” said Emma. 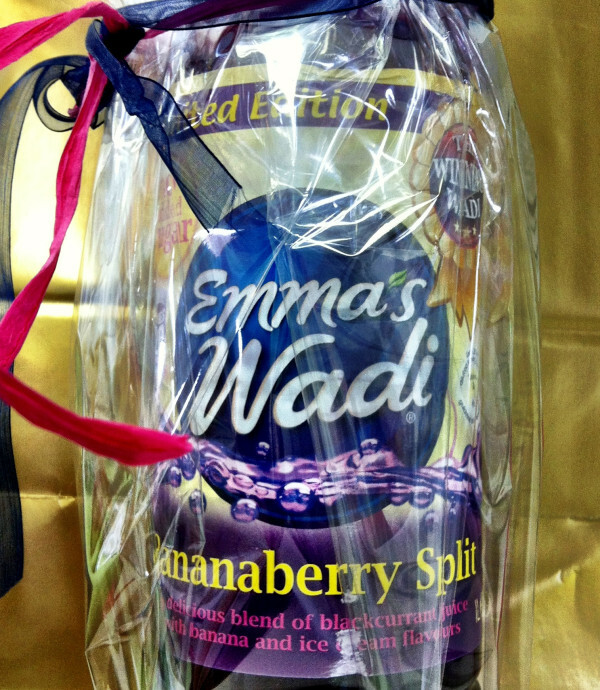 Emma’s Wadi is available in a 1l single concentrate pack nationwide from the beginning of August.